That time of year when I receive a big box of Florida citrus from the relatives in Florida. Grapefruits and big fat oranges. It's time for my annual orange olive oil cake. This one is from Italian Food Forever and it's a great one. The recipe uses the whole oranges, rind and all, cut into chunks then pulsed in a food processor with olive oil. Remember, when baking olive oil cakes, you want to use a mild tasting olive oil, not a green, strong tasting one. I usually use Colavita, but here I used a beautiful delicate Spanish olive oil that I received as a gift. I know you must think I am nuts, posting all of these yummy cakes lately. Butter a 9" springform pan and line w/ parchment paper. Slice the tops and bottoms off of the oranges (so they lay flat) and discard. Cut the oranges into chunks, leaving the rinds on (make sure there are no pits). 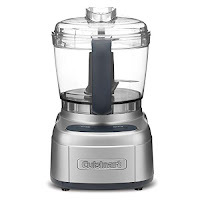 Place the chunks in a food processor and pulse, leaving a bit chunky so the cake has texture. Add in the olive oil and pulse another 3 times. In a large bowl, mix the four, baking soda & powder and salt. In a separate bowl, mix the eggs together with the sugar and extract, if using. Add in the orange and oil mixture. Slowly add the wet mixture to the dry mixture without overmixing. Using a wooden spoon is better than a mixmaster here. Pour batter into prepared pan and bake for 50-60 minutes (mine took 50 minutes). Let cool and remove the pan's outer ring. Decorate w/ powdered sugar and orange slices if you like! This is a wonderful cake, and so simple to make. 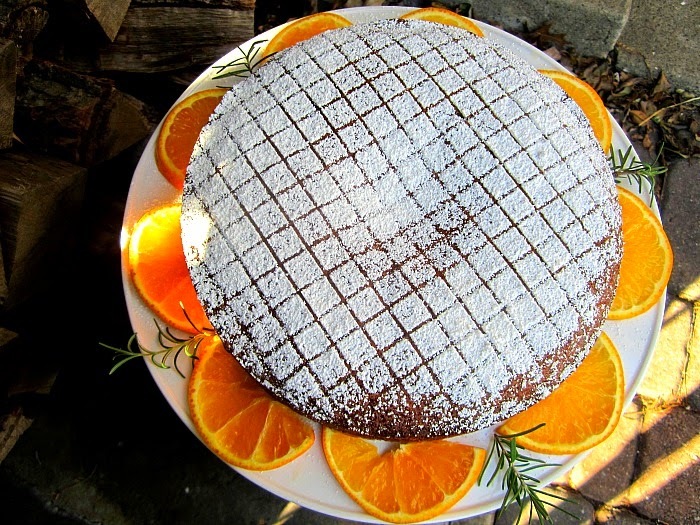 I made an orange olive oil cake (using a recipe from Giada) this past week too but the recipe drives me crazy. The center doesn't rise the way yours did. 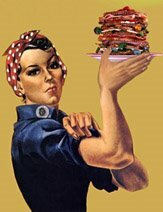 I think the difference is that your recipe has twice the number of eggs for lift. I like this cake because it's not super sweet just enough. 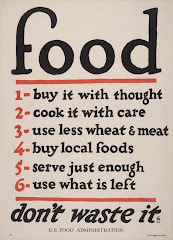 Wow this is a simple recipe! 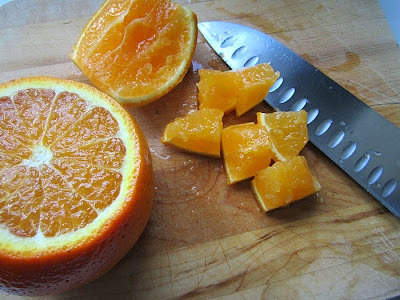 I'm thinking of using the Cara Cara oranges I have in the house from Trader Joe's - they are INCREDIBLE this year. Great flavor, super juicy, and deep red/orange in color. I like the idea that you had a small (1/8 tsp) of almond extract to this and other baking recipes you've posted. 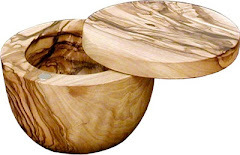 My Mother warned me to be very judicious with it - it can overpower - but she thought it enhanced many things. It was a must in her fabulous cherry pie. And in angel food cake along with some vanilla. We actually also received citrus this year from one of my clients in Florida, so I have an abundance of oranges and grapefruits in the house! 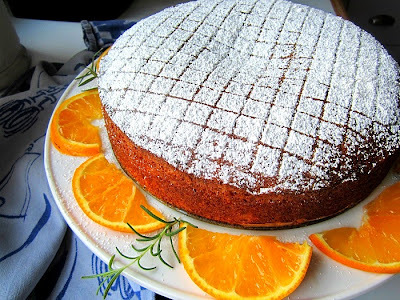 This looks yummy - my only hope is that mine will look like this after I've baked & decorated it with icing sugar. I love a bit of almond extract in these type of cakes.......I think it could even use a 1/4 tsp. This was a delicious cake! Giada's cake never works out for me, it always is TOO WET in the middle, that's why I stopped baking it! This cake sounds lovely. Thank you. Would Naval oranges work or have too much rind? Any recommendation for the type of orange? 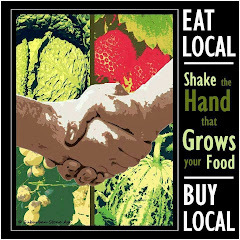 And would grapefruit work? 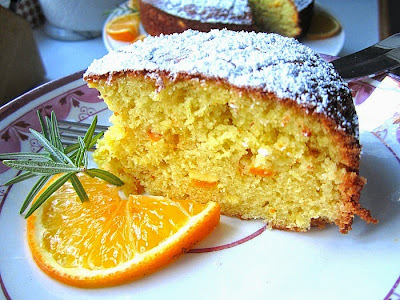 OK, I'm breaking down, I must make one of these orange cakes now! 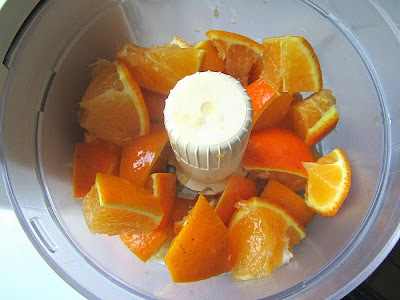 I actually used big fat naval juicing oranges because I get them every winter from Florida! So yes, they work perfectly, just make sure you remove the pits. I thought I had already left a comment here but I don't know what happened to it. 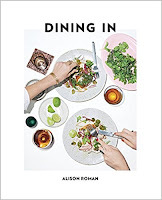 Anyway just wanted to say I made the blood orange cake (and it was beautiful and delicious) and this is next. If I sub clementines for oranges should I use three? Or four? We made this cake and it is delicious! Has a lovely after taste. My husband used some whole wheat flour and made it in a decorative pan-so pretty. In our oven it only needed 50 min, so suggest watching closely. Thanks Stacey for all of these lovely citrus recipes. Dennee and Ubaldo in LA.